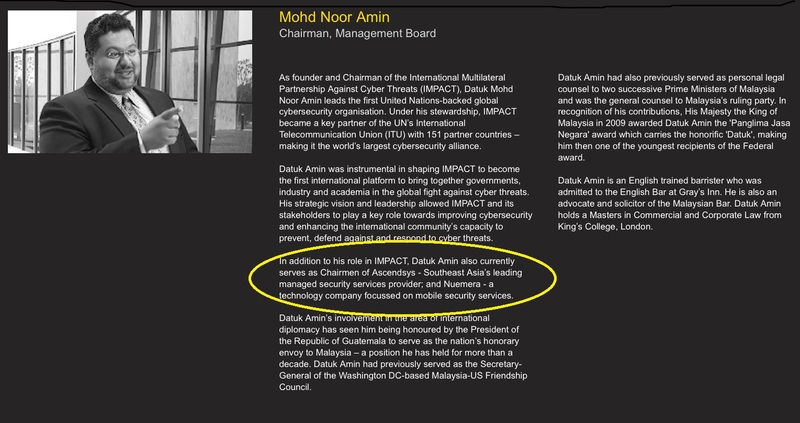 This is a screenshot of Datuk Amin‘s very outstanding profile which was posted in the website of IMPACT. Datuk Amin is the chairman of IMPACT. He has proudly announced his special credential that he is also chairman of Ascendsys Sdn Bhd and Nuemera Sdn Bhd. Yg Bhd Datuk Mohd Noor Amin Bin Mohd Noor Khan, popularly known as Datuk Amin, has proudly announced his chairmanship in Ascendsys Sdn Bhd and Nuemera Sdn Bhd in the website of IMPACT, HERE. 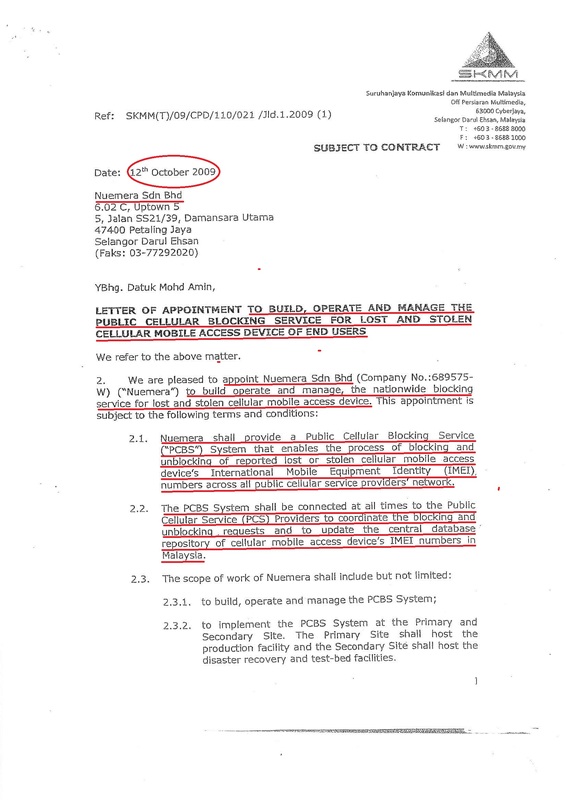 In the Ascendsy Sdn Bhd’s company profile, it is stated that Ascendsys Sdn Bhd was appointed by the Malaysian government through Prime Minister’s Office (PMO) to design, build and transfer the International Multilateral Partnership Against Cyber-Threat (IMPACT) on behalf of government of Malaysia. This must be during the reign of Tun Abdullah Ahmad Badawi, who set up IMPACT in 2008. The company profile is very impressive. 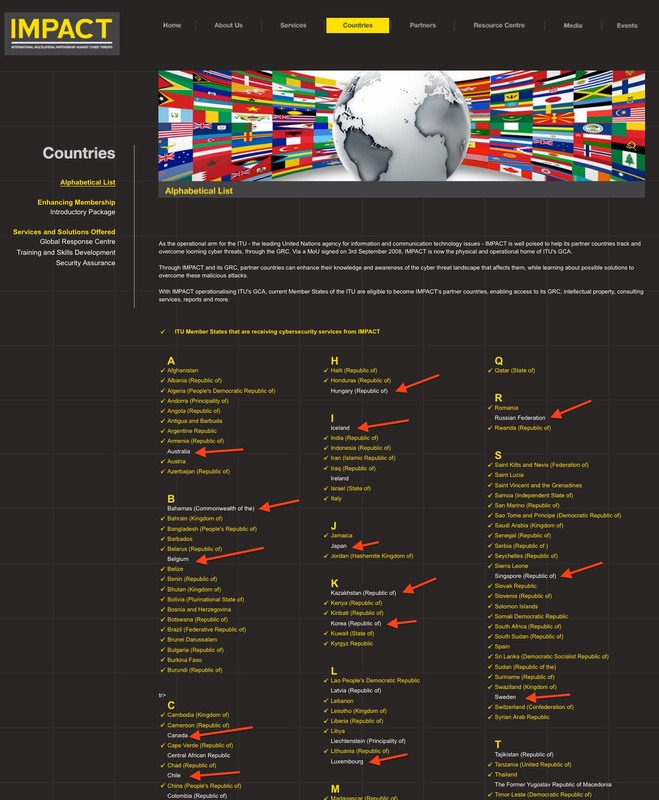 However, countries like Singapore, USA, UK, Canada, Australia, Denmark, France, Finland, Germany, Ireland, Japan, Korea, Greece, Colombia, Luxembourg, Mexico, Norway, Russian Federation, Sweden and many others do not subscribe to IMPACT. According to Datuk Amin in the IMPACT website, Nuemera Sdn Bhd is a leading technology company focused on mobile security services in Asia. Of course, Datuk Amin chose not to tell the world that Nuemera Sdn Bhd is a dormant company and that he is also the shareholder. IMPACT’S member countries. This is the earlier screenshot taken before it was changed a few days ago. The countries with the red arrow are not members of IMPACT. Perhaps the very learned chairman of IMPACT, Datuk Amin, may want to shed some light on what impact has IMPACT created in the world that our nearest neighbour Singapore and other advance countries chose not to be the members of IMPACT. Are these non-members countries not worried of the so-called cyber threat that the IMPACT is protecting the 151 countries from? The non-IMPACT member countries like Singapore, USA, UK, Canada, Australia, Denmark, France, Finland, Germany, Ireland, Japan, Korea, Greece, Colombia, Luxembourg, Mexico, Norway, Russian Federation, New Zealand and Sweden must be very vulnerable to cyber threats. Malaysians should take a pity to the Singaporeans, Americans, British, Japanese, Australians, Germans and others for opting to be deprived of the great inventions and protections of IMPACT. Thank God that we have Datuk Amin in IMPACT and Datuk Sharil in MCMC to protect Malaysia from the Cyber threats but at what costs. Yours truly would not like to imagine what would have happened to Malaysia without these two great leaders like Datuk Amin and Dato’ Sharil. By co-incident that both of them are good friends. In the same company profile, Ascendsy Sdn Bhd was also appointed to build a Network Security Center for MCMC to monitor the security levels of seven (7) ISPs in Malaysia on a 24 x 7 Basis. In simple terms, Ascendsys Sdn Bhd was to build, operate and transfer National Threat and Early Warning System Security Center for MCMC. It all sounded very impressive. Perhaps Datuk Amin and/or Datuk Sharil might want to tell us how much did it cost MCMC for this sophisticated system that is not yet known to USA, UK, Sweden, Denmark, Norway, Finland, Japan, Singapore, Australia, New Zealand, Luxembourg and other developed countries. Of course, Ascendsys Sdn Bhd is not a dormant company like Nuemera Sdn Bhd and Orenda Kuantum Digital Sdn Bhd. It has a business address at Unit 602-C, Level 6, Tower C, Uptown 5, 5 Jalan SS 21/39, Damansara Uptown, PJ. Please see below for the MCMC’s letter of appointment which was signed by Dato’ Mohamed Sharil bin Mohamed Tarmizi, (Datuk Sharil) when he was the Acting Chairman of MCMC. Since Nuemera Sdn Bhd is a dormant company it has no business address in the record of SSM/Companies Commission of Malaysia. However, the MCMC’s letter of appointment for Nuemera Sdn Bhd will shed some light in this matter. 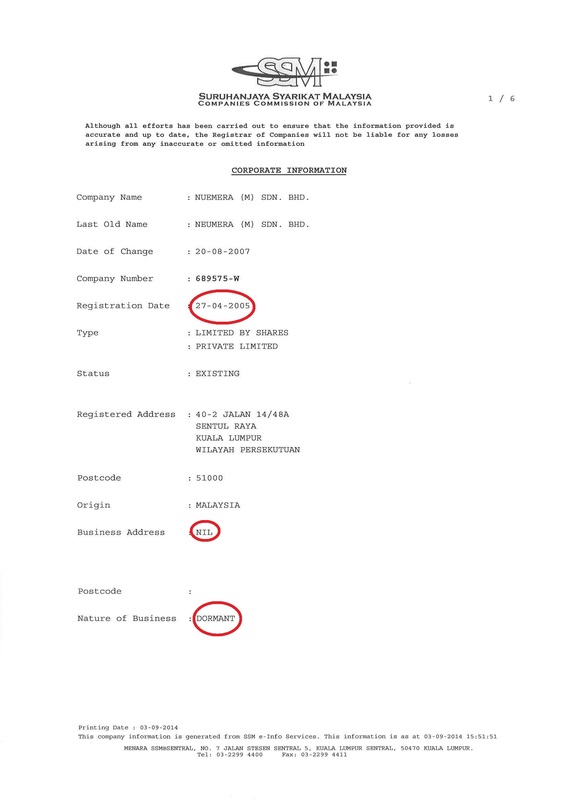 From the above documents, it is evident that Nuemera Sdn Bhd and Ascendsys Sdn Bhd are not only sharing the same chairman but sharing the same office/business address. It must be by co-incident that both Ascendsys Sdn Bhd and Nuemera Sdn Bhd have a common chairman (Datuk Amin) and business address. It is also a co-incident that Dato’ Sharil the chairman of MCMC is a member of the Board of Trustees of IMPACT, HERE. Yg Bhg Dato’ Mohamed Sharil Bin Mohamed Tarmizi, the most able Chairman of MCMC, who is still in the state of elegant silence. Dato’ Sharil is still in his elegant silence mood. We hope that he will realise that elegant silence is not an option when you are heading a government agency and/or using public fund. For background information please read HERE. Stay tuned: Coming Soon / “Akan Datang”. Part 10 and the fragrant violations of Personal Data Protection Act. Next Wheeling & Dealing In MCMC? Part 10 – PDPA was ignored! It is a wholesale conflict of interest. it’s actions time. What is the Minister of Information doing about this matter? Wahhh.. Friend friend.. Create dormant company.. Do direct award..sama sama kaya raya..rakyat kena tipu…very good deal! Malaysia boleh!!! It is an open secret that Datuk Amin is a close friend of the Botak. The staffs in MCMC also know about this relationship. Direct award of contract to dormant is current norm in MCMC. What is the Minister doing about this? Gone to sleep like MACC? YB, been seeing advertisements about the fight against corruption by the Govt. My question is with so much data being exposed about the “activities” of the mcmc chairman, why isnt the MACC taking any action? Are the rakyat being misled with all this PR campaign by the Govt when we see no action by MACC on these blatant “activities” ? Are certain people like the MCMC chairman above the law ? Are the protected by the powers above?? I am very puzzled by the lack of action taken so far by the authorities. In many countries, these exposure will surely land the person behind bars n their assets frozen. Pls comment. The Botak is immuned to any form of investigation. With the expose of the direct award of contracts to 2 dormant companies, the Ministry of Information should have suspended the Botak and then to lodge report with MACC. I will not be surprised if the Government will renew the Botak’s contract for another term. This is the type of government we have. Govt keeps cutting subsidy so that they have more money. But the money they get is not used for rakyat. People like mcmc … stealing like nobody business and nobody cares!! Rakyat suffers! Sorry we never heard the name before.Even they said hebat,among IT security expert I think they never heard name numera& no name such as Symantec or so on..
Its been awhile now all the news of MCMC Chairman spread like wild-fire. I am just curious like any other Samaritan’s and puzzled why is it the MCMC Chairman is out open to disclose the truth behind any of this accusation against him? Does it mean that he is held responsible with his actions or it is deem fit that all this is his work? What even shocked me is with your revelation YB out in the open especially in your blog, he is seem to be very calm through out KL Converge. Doesn’t seem to be perturbed by all your allegation. Whois backing the MCMC Chairman? The Minister? Any politician? Or is it HE himself? Anyway…..I could only say this YB…..I am hampered with the way how our government is heading and with all this been done, sadly that is why our country is so back and STILL laggard compared to the rest of 3rd world countries. It is just a con job all the way. What is the PM doing about it? Hopefully he is not going to condone this scandalous act. The Ministry of Information is so quiet over the MCMC scandals. I just cannot believe that the Ministry can keep quiet when the the credibility of MCMC and Ministry are at stake. What is MACC doing about this matter? Most probably sweep it under the carpet. YB, pls give us part 10. Thank you so much for your comment. I really am sorry for the delay because of the work load in my law firm and court. I have the Part 10 in draft form. Once I have fine tuned it, I shall have it posted. Thank you for following the issues concerning MCMC, which should be transparency. The issue now is the crdedibility of a regulatory body. Do not underestimate these two fellas. Amin is well connected. He was particularly strong during the 5th PM. And he still has strong connections to the current office. Including the youthful Minister. The MCMC guy is someone who is desperate to be taken seriously. He knows people don’t respect him. There’s a nickname specially for him. If his officers are reading this, they would probably be smiling by now. He must be thanking his lucky stars how he got to be the Chairman. This man is a joke. Talks a lot. All air. He’s a tyrant on steroids and power crazy. And this Nuemera deal was planned a long time ago. Even before Botak became Chairman. Botak was in the Board when he was out of MCMC and was still trying to pull strings. Not all MCMC officers were keen in this project. Some tried to kill it. Some who tried saw them being transferred out. But it just won’t die. Amin had too many people backing him that it just wouldn’t die. It didn’t go anywhere until Botak became Chairman. Then it went to extra gear. Letters were hurried and signed. Telcos were called in and given the ultimatum. It’s a stupid project. Stupid because the Telcos can easily do what the project demands of it, which is to block the IMEI number if the phone is stolen. Stupid because a 3rd party is paid money for an act where the Telcos can do themselves. Whats more stupid is that Nuemera is paid tons of money for nothing. And why pay when the Telcos can do it for free. In other countries in this region, this service is an option given by the Telcos there. They are irresponsible and talk a good talk. But they are co ….ted. Fat they have become. I doubt any actions will be taken. This is particularly sad for the current PM. He is surrounded by people who’s ultimate objective is to fatten their own stomach. Can someone tell us whether the Botak has been extended as the chairman of MCMC? If he is extended then MCMC and Min of Info have no more credibility. It will be interesting to see how many deals were proved by Botak for the last 2 months? We know of at least one public listed company which is dying for a special deal concerning data processing of individual to be approved by the Botak. If it is approved MACC must step in to investigate. All contracts or projects signed by Sharil should be investigated by MACC. He loves dormant companies. And we all know why. Nuemera is the one for MACC to look into! I have been informed that the Botak’s contract has not been renewed. What a great relief to all Malaysians and the telcos. Thank God that the Minister/government have woken up about the Botak.